A fresh look to yuor lunching style with this all New lunch set. 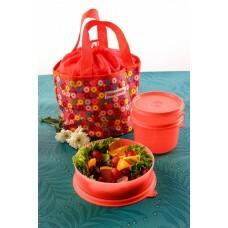 Virtually airtight and spill proof.Earth healthy, Eat stylish. It has a classic round seal which makes it air tight as well as liquid tight. It is stackable thus saves space.